As the founder and CEO of Dagiz Pte. Ltd., a wife, and the mum of 2 beautiful children, I am passionate about making the world a better place for families. My husband and I moved to Singapore in 2008, just after the birth of my son. I was thrilled to have the opportunity to spend time with my newborn child and to experience Asia. After a year of being a full-time mother, and with a master’s degree in Systems Engineering, I went back to work for an engineering consulting firm. However, I struggled to find the precious balance I was looking for between motherhood and career. Having a toddler at home and being pregnant with my second child, I was unable to find a position that offered the flexibility I needed. Thus, I decided to open my own business. I wanted to create an environment that would give me the balance I required, and I hoped it would allow me to eventually offer that precious balance as an opportunity to other parents. Since then, Dagiz has experienced significant growth and development. We specialize in getting to know our clients and offering them bespoke solutions. Dagiz believes in true partnership and goes the extra mile to deliver and exceed our clients’ expectations. Dagiz is a platform for people who are looking for a balance between parenthood and a fulfilling career. Dagiz will continue to grow and provide more parents with the opportunity I so much wanted. I strongly believe that all children deserve to have a parent present to hug, listen, and be there for them when they are in need, to instill values, stimulate their thoughts, and inspire them to be the best they can be in life. We also need to continue to learn, grow, and develop ourselves so we can be a role model to our children. Dagiz believes that all children deserve to have a parent present to hug, listen, and be there for them when they are in need, to instill values, stimulate their thoughts, and inspire them to be their best in life. However, we also understand that as parents and individuals we have aspirations of our own. We need to continue to learn, grow, and develop ourselves, to meet our personal goals so we can be a good role model for our children. Dagiz believes in flexible work opportunities for parents, allowing them to balance their career goals and family life. Specifically, we provide flexible hours: full-time positions only need to complete a core 6 hours in the office, and the remaining hours anytime during the day. We also offer part-time roles with flexible work hours. At Dagiz, we empower parents to be present in their child’s life without missing any milestones – performances, appointments, illness, or just a day together – while also fulfilling their dreams of personal development and growth. At Dagiz, we value creativity and passion, fairness, integrity, genuine partnership, family and children, and social responsibility. 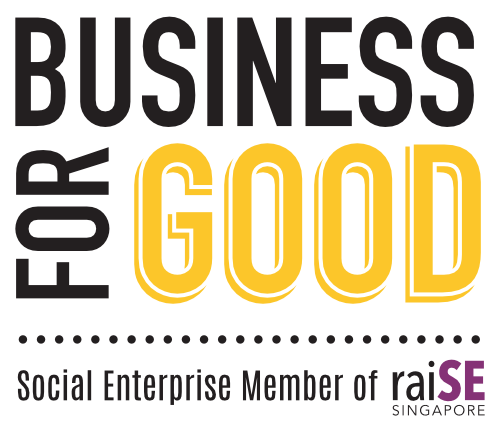 Dagiz was recognized by raiSE as a Social Enterprise, based on Dagiz' philosophy and contribution to the empowerment of working parents. DAGIZ. Innovative Gift Solutions and Experiences. Using a consultative approach, Dagiz works closely with you to create bespoke gifts for any occasion. We design and manufacturer textile, wood, and metal products; customize tech, premium F&B, Green gifts; and we offer unique options such as custom pieces of art designed by world renown artists, travel gifts, leather accessories, jewelry, office items, and even uniforms. Dagiz can bring any idea to life. Dagiz also provides Go Green consultative services and products to hotel chains and organizations that understand the urgency to become environmentally friendly. From eco-friendly water bottles, room amenities, bed sheets, and towels to energy saving ideas and products, Dagiz can help you reduce your footprint and save you money. At Dagiz, we go beyond the ordinary to make sure you are delighted with our products and services. Dagiz designs and customizes innovative gift solutions for corporate and retail clients. We go beyond the ordinary to make sure our clients are delighted with the service and the high quality of our gifts. We manufacture and design our clients’ dream gifts so their customers will always remember them. What makes us unique is that Dagiz is a wonderful platform for parents who want to fulfill their career aspirations, and at the same time be dedicated parents. Dagiz serves large multinationals, small and medium businesses, stores, and retail chains in Asia, America, Europe, Africa, and the Middle East. Among our customers are the largest banks, oil and gas companies, aerospace industries, event agencies, hotel chains, schools, universities, department stores, and museums. COPYRIGHT © DAGIZ PTE LTD 2018.